A critical part of any blending process, Sampling and Analysis systems by Technics are often used as stand alone assemblies in custody transfer applications or anywhere else that fluids need monitoring such as transport pipelines. Technics adapts our systems for a wide variety of analytical equipment made by a wide variety of manufacturers. 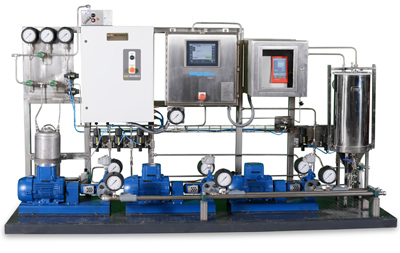 Our principal design task is to provide a real time representative sample for the fluid or gas to the analyzer and then monitor the analyzer itself to insure that it is doing its work properly. Our solutions in this field are complete systems. 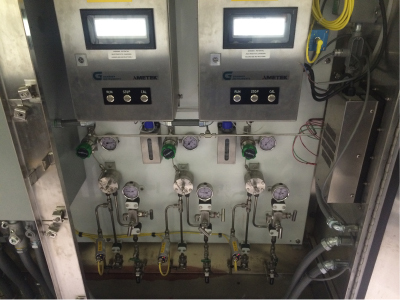 They include the extraction from multiple sources and the rapid transfer to the analyzer while treating the stream for pressure, flow, temperature, and contamination. Waste recovery systems collect, store, and transfer the residuals. Representative sampling often requires preparation in the pipeline itself by using the jet mixing common in the industry. This involves a pump extracting fluid downstream and returning it upstream through a nozzle in conformance with the practices specified by API and ASTM. RVP Vapor Pressure analysis using the Mini-Method measurement principle where a piston, containing a pressure sensor, is used to expand the headspace above the liquid. Heating the sample to the measurement temperature at a specified vapor to liquid ratio gives you the vapor pressure of the liquid. 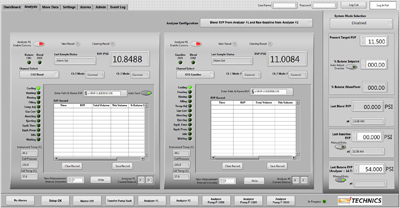 Water Content for BS&W analysis provided by manufactures such as Easiflo or KAM which offers continuous, real-time data for net oil and net water, plus the conductivity, dielectric, and both real and imaginary parts of permittivity of the fluid. Viscosity/Density meters are available as pipe insertion device and they typically have the desired resolution for the given application.